She has been working at the cutting edge of Graphic Design and Visual Art after completing BFA from College of Art, Delhi, India. Her creative works are an exploration of the world around her. 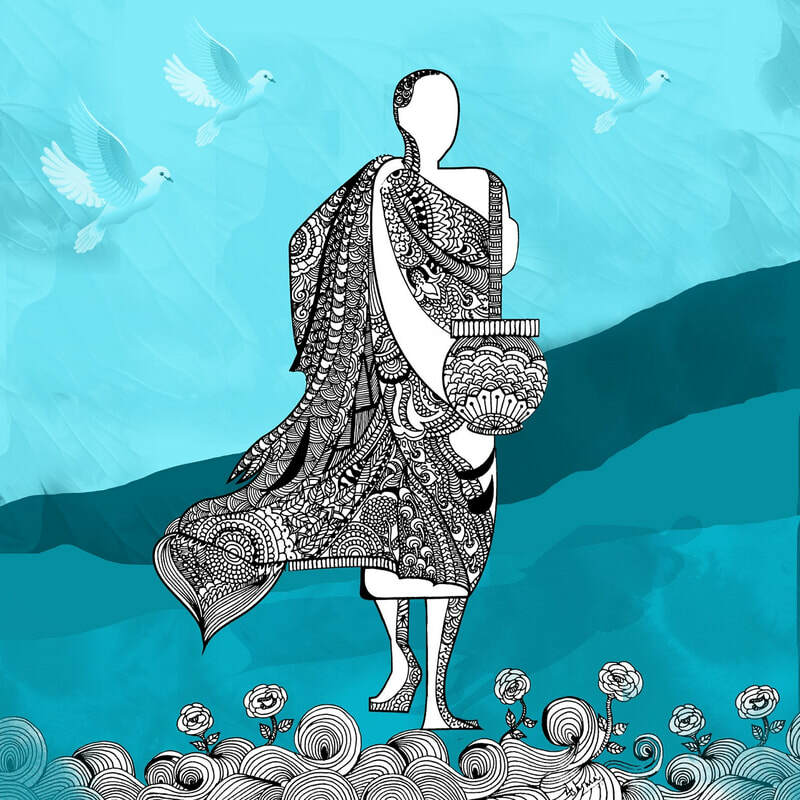 Inspired by Kalamkari art and Zentangle she has developed her own style of contemporary art using pen, ink and technology to realize digital artworks. Her work is often considered a fine example of what possibilities happen when you pair clean, strong forms with a powerful message. Her effort has been to showcase how, with the use of bold and rule-breaking visual language, graphic design can inspire and be a vital element in the growth of businesses and also in nudging public perceptions in desirable ways. Her portfolio of design clients includes Pepsico, Coca cola, Plan International India to name a few. Her art has not only been displayed at art exhibitions but has also struck a chord with organizations seeking to build/extend their brand identity.